Explore Western India and Rajasthan on a 7-day tour from Udaipur. See the sights in Udaipur, then enjoy the hill station of Mount Abu, which features the Delwara Temples and Nakki Lake. Visit the Kumbhalgarh Fort, attractions around Dungarpur, and Fort Chittorgarh — a UNESCO World Heritage Site. 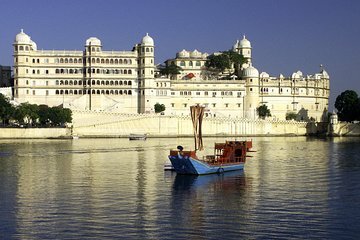 Includes six nights of accommodation, breakfasts and dinners, transportation, and hotel pickup and drop-off in Udaipur.